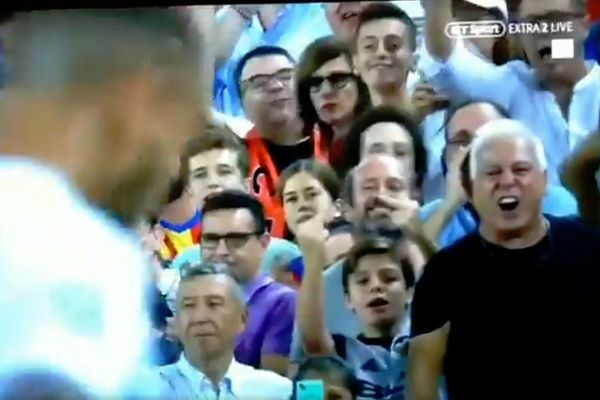 A young Valencia supporter was spotted making an offensive gesture towards Cristiano Ronaldo after the Juventus player was sent off against them in a Champions League group stage clash. The home fans were keen to laud it over the £99.2m man after he received a straight red card midway through the first-half on Wednesday. And none seemed more enthusiastic that this boy, seen on the television coverage, using both hands to swear at Cristiano Ronaldo during his emotional goodbye following the decision.